and charred by his bomb. Given Batman’s paranoia with the Clown Prince of Crime, Jason Todd rightfully expected to be rescued before meeting such an unsavory end. The Dark Knight couldn’t live up to his reputation, however, and he would live in a state of self-imposed guilt for years, encasing Robin’s uninhabited costume in a glass shrine in the Batcave. When Jason Todd returned, however, his resurrected mind was of vengeful spirit, driven to make the Joker suffer the same fate, then put Batman through a similar beat down. Following in the footsteps of his teacher, Todd’s diligent preparation paid off, driving Batman to the ground with a gun barrel aimed directly between his eyes. 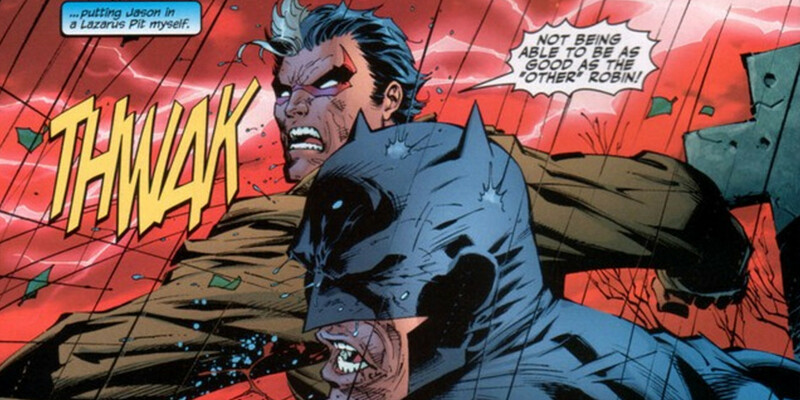 While Todd won the showdown, his hubris ultimately compromised the mission and put Batman back in control.